"It came for the thrill of the hunt. It picked the wrong man to hunt." While we wait for Shane Black's new The Predator, set to hit theaters in 2018, we can all revisit the original. 20th Century Fox and Park Circus have released a new trailer for the 30th anniversary of John McTiernan's Predator, returning to theaters (in the UK) this November. The action classic was first released in 1987 and actually opened #1 at the box office in the middle of June, earning a total of $59.7 million during its US theatrical run. 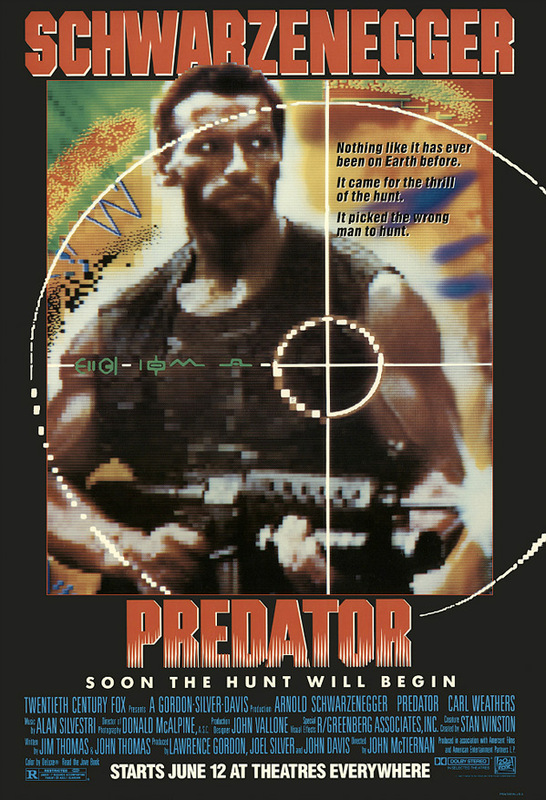 Predator starred Arnold Schwarzenegger in one of his early iconic roles, Carl Weathers, Elpidia Carrillo, Bill Duke, Jesse Ventura, Sonny Landham, Richard Chaves, and, yes, even Shane Black. I wish this was a 4K restored re-release, but I don't think it is. Still, it's still awesome to see this film returning to theaters again. Dutch, Dillon and the rest of the squad are gearing up for another round of extraterrestrial extermination as cinemas celebrate the original Predator ahead of the 2018 arrival of Shane Black’s latest franchise installment, The Predator. Fondly remembered 3 decades after its initial release thanks to an arsenal of quotable one liners, its pleasingly old school special effects and a Schwarzenegger performance deftly poised between wry self-awareness and testosterone-fueled stoicism, Predator stands tall as the ultimate action movie machine; a muscle-bound, camo-clad, cigar-chomping romp that is at once quintessentially 80s and practically timeless. Predator was directed by John McTiernan (of Die Hard, The Hunt for Red October, Last Action Hero) and first released in June of 1987. Fox has not announced any plans for a US re-release yet. Predator will return to UK cinemas this November. Stay tuned for updates. Planning to go?